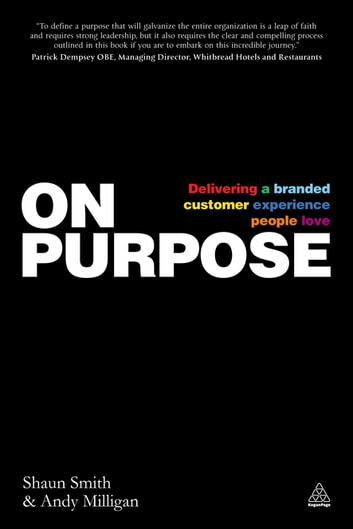 Brands growing rapidly have a clear sense of purpose and the value they bring to their customers and employees. On Purpose is a practical guide to executing business purpose successfully by delivering a branded customer experience people love. It presents a framework for success based on being clear about your brand purpose and promise so you can achieve exceptional results through exceptional experiences. It provides the tools for brands to stand out by defining, designing and delivering distinctive, valuable customer experiences across multiple channels.